This chapter introduces digital rights management (DRM) in the perspective of digital policy management (DPM) focusing on the enterprise and corporate sector. DRM has become a domain in full expansion with many stakes which are by far not only technological. They also touch legal aspects as well as business and economic. Information is a strategic resource and as such requires a responsible approach of its management, almost to the extent of being patrimonial. Digital rights and policy management is now well established mainly in two distinct sectors sharing the same fundamental underlying technical principles: on the one hand, the entertainment and media industry, and on the other hand, the enterprise sector. 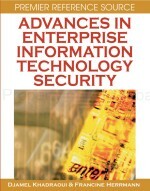 This chapter mainly focuses on the latter, introducing DRM concepts, standards, and the underlying technologies from its origins to its most recent developments in order to assess the challenges and opportunities of enterprise digital policy management.